Photo taken from a high vantage point in Governor's Island. 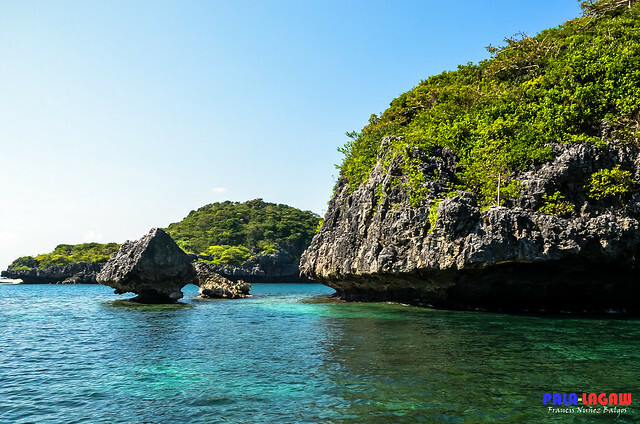 Provides a sweeping panoramic view of a part of Hundred Islands. 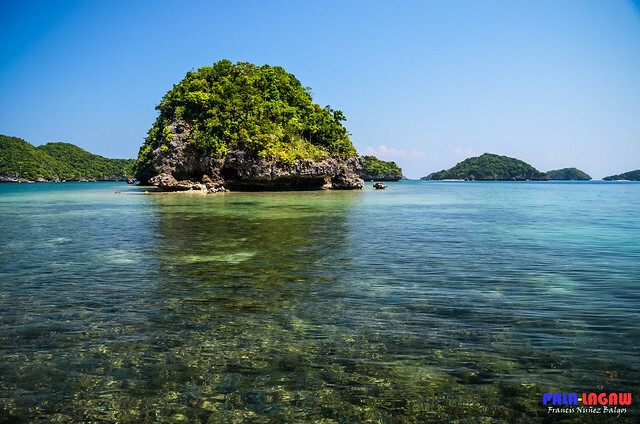 Feels good to know that I am alive, to see natural treasures like the Hundred Islands of Alaminos, Pangasinan. This may sound cliche but like most Pinoy Travel Bloggers, I mark places to visit by remembering those post cards we have at Grade School showing great tourist destinations in our country. Hundred Islands had been one of those. Remembering my teacher then, I know now that she haven't been to any of those places that we are ask to remember for a short quiz afterwards. To her it was just another day at school, telling kids at her class how beautiful is our country. Though I can say, with all these drifting and wandering that I have been doing in my life, I have seen the best. I just can't admit it to myself because if I do, then what's the point in seeking for more. Get my drift? Probably no. I have this wander lust in me that takes more than a few words to explain. It's my soul, it's asking for something utterly intangible, being free of any anchor and feeling the world arround me. You're probably waiting for me to describe The Hundred Islands, I apologise for the segue. I just felt like writing something vague to get this started. It's been a couple of months now, but the memory is still vivid. The calm azure waters, and the boat circling every major island has been a nice experience. Just two hours after arrival in Alaminos from a long bus ride in Genesis bus Station in Cubao Manila. I found myself ridding a boat that's so unlike the boats from any other places I've been to. The boat has an almost flat bottom, so instead of making ripples in the water, it actually glides over it as it pass, more so, when on a stand still, it wobbles finding that balance and stability you find in boats that have sharp edges at the bottom. It was a new experience, makes me think that this one is built to glide over shallow waters during low tides. It was a hot day. I hardly recognise the post cards that came here. But on the first jump, climbing on top of an island to see a part of the panoramic scene. It became familiar, hitting it home all of a sudden. I'm like looking at post cards everywhere. I took shot after shot of landscape and travel photos. Like my every other post, this one will be full of it. Hundred Islands came to be Hundred Photos in a few hours. Certainly, it took a bulk of my camera's actuation, but who cares? the visit is much more than I can bargain compared to a camera that can be replaced. Some of the Beautiful smaller islands scattered all over. Photo of Marina over Children's Island. So called because the waters before it is very shallow which is great for children to have fun. 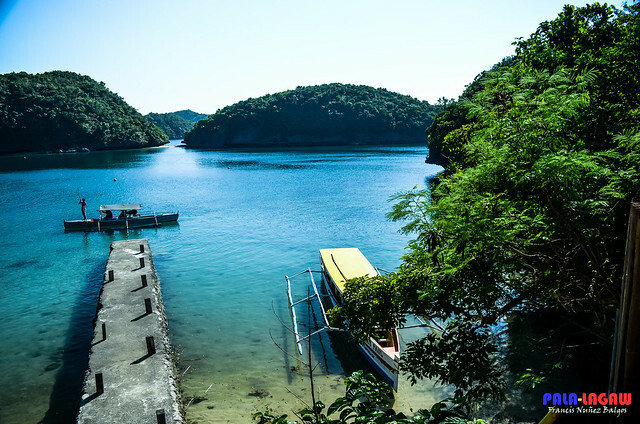 Photo taken at Quezon Island, with the Iconic Walkway connecting two islands and serving as a marina for the boats. I have to admit that prior to coming here, I have misgivings. Probably my fault because I ask a few friends who is into backpacking about their own perception of Hundred Islands. I shouldn't have done so, I was told something negative and so I arrive not expecting much according to what I heard. Bad idea. But then, I overcame it, for someone who is a first time visitor in these beautiful islands. I'm kind of proud with these shots. I have no special filter to make them surreal, but then as natural as they come, Hundred Islands are all but over a hundred beautiful islands. Lots of Islands, not all open for public. But still part of the scenic location. Photo taken from Marcos Island overlooking the adjacent Island. Its easy to for forget the names of these Islands. They look utterly different from each other yet very similar. 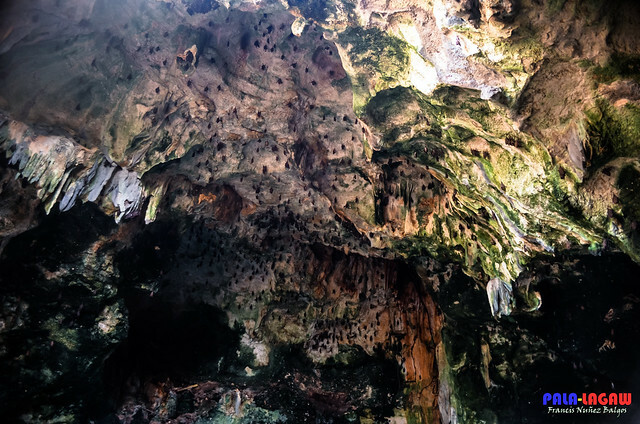 Photo of the ceiling of Imelda Cave. Named after a former first lady. This is where the high jump is done. When you got the chance to visit, don't be surprise to find the name of the islands to be peculiar. More of relics of Marcos's era, islands named after last name of his cronies. If you ask me, I find it distasteful, a local name perhaps, something more obscure may have been better. But then, its just my opinion. Putting the names aside, I don't really want to mention them. 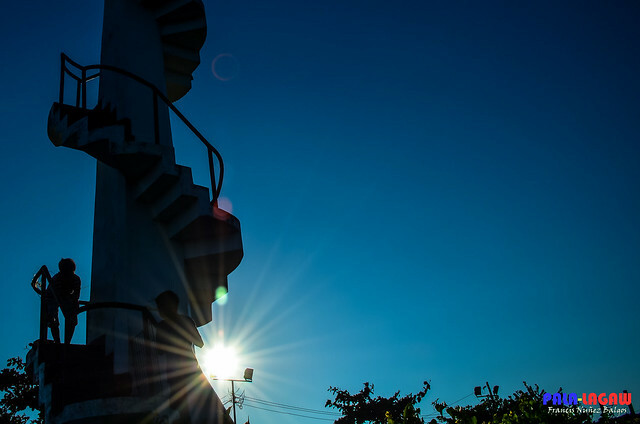 There is more to find than just merely sight seeing. Done the exhilirating jump off the Imelda Cave in Marcos Island that is about 6 meters high. Snorkeling in Giant Clam sanctuary, near Quezon island. Being an avid snorkeler, this was a highlight for me. Knowing that most of the Giant Clams in Camiguin actually came here made me very excited. I have tons of underwater shots which I will share on a follow up post. The presence of the giant clams is a good indication that the waters here are clean and can support sensitive underwater creatures. Another Photo of a corner of Marcos Island. 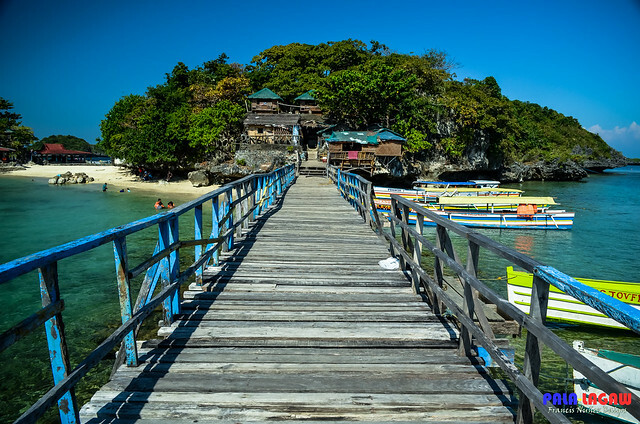 Photo taken from the jump off location for snorkeling, looking at the walkway in Quezon Island. Lighthouse off the Lucap Wharf, the jump off pier to Hundred Islands. Great place for Sunrise photos. Children playing in the Lucap Lighthouse. 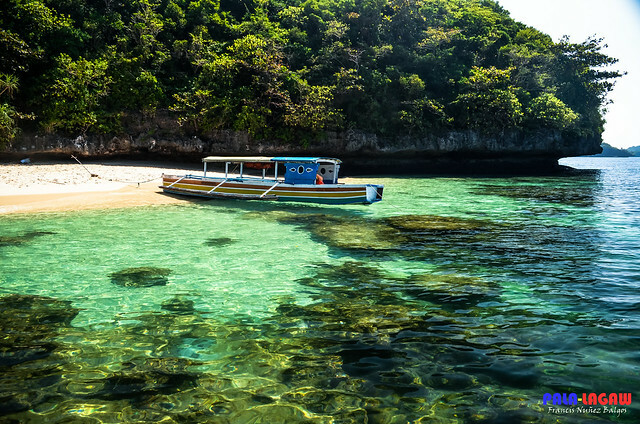 I've been to 100 islands but mostly to the more popular islands like Quezon island. The place is really amazing and glad to see some of the other attractions in your post. I haven't been to 100 islands but after seeing your pics and reading your post I will definitely add this to my itinerary hehe cheers to more adventures! I like the photos! Would love to be there! I wonder how much is the tour package to the Hundred Islands? 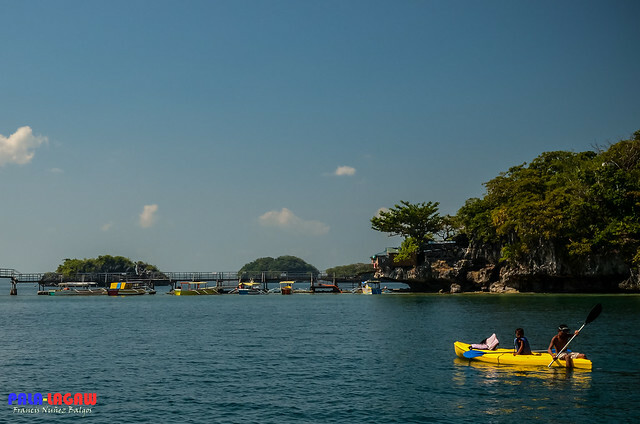 We have several attempts of visiting the Hundred Islands.. I hope soon this summer. Can I say wow thousand times in this comment. Even if I can,that won't be enough to tell how amazed I am with the place , especially with the photos you took and shared. Been there for a couple of times, And each visit I've made more fascinating islands have come to my attention. Yung quezon Island, maganda nga. Like! The scenery is great, love the calmness and peaceful of the sea. Tried island hopping in hundred islands several yrs back with my team and it was an amazing experience to see our own wonders. I wanna go back though..
great photos! 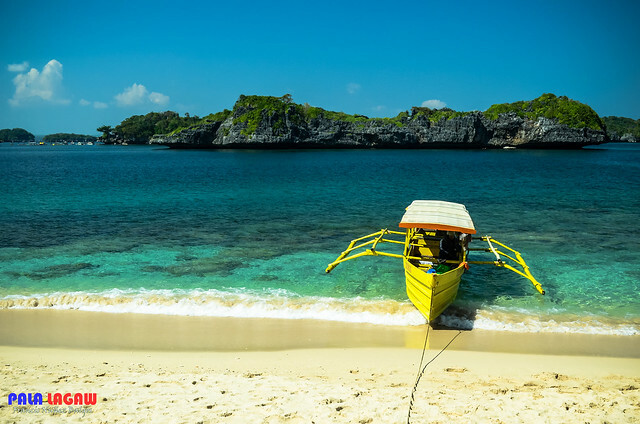 makes me want to go on with our always postponed hundred islands trip. hope to be there before april ends. thanks for sharing! 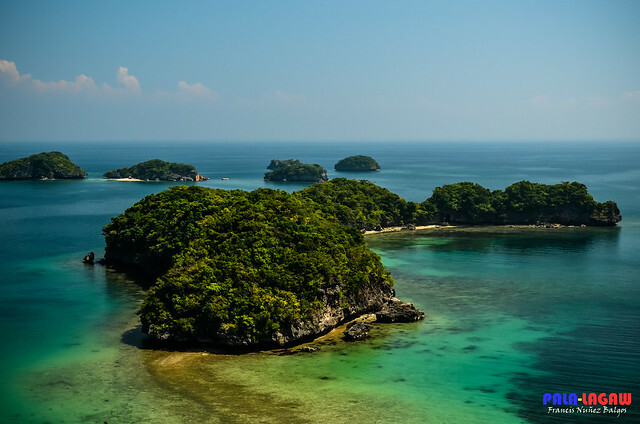 I'd love to go back and explore more of Alaminos,, and maybe some of the more obscure islands in Hundred Islands..